Color gamut refers to the various levels of colors that can potentially be displayed by a device. There are actually two types of color gamuts, additive and subtractive. Additive refers to the color that is generated by mixing together colored light to generate a final color. This is the style used by computers, televisions and other devices. It is more often referred to as RGB based on the red, green and blue light used to generate the colors. Subtractive color is used by mixing together dyes that prevent reflection of light that then produce a color. This is the style used for all printed media such as photos, magazines, and books. It is also generally referred to as CMYK based on the cyan, magenta, yellow and black pigments used in the printing. Since we are talking about LCD monitors in this article, we will be looking at the RGB color gamuts and how various monitors are rated for their color. The problem is that there are a variety of different color gamuts that a screen can be rated by. In order to quantify how much color a device can handle, it uses one of the standardized color gamuts that define a particular range of color. The most common of the RGB based color gamuts is sRGB. This is the typical color gamut used for all computer displays, TVs, cameras, video recorders, and other consumer electronics. It is one of the oldest and therefore narrowest of the color gamuts that is used in reference for computer and consumer electronics. AdobeRGB was developed by Adobe as a color gamut to provide a wider range of colors than sRGB. They developed this to be used with their various graphics programs including Photoshop as a means to give professionals a greater level of color when they work on graphics and photos before converting for print. The wider AdobeRGB gamut gives a better translation of colors to print than sRGB. NTSC was the color space developed for the range of colors that can be represented to the human eye. It is also the only representative of the perceived colors that humans can see and is not actually the widest color gamut possible. Many may think that this has to do with the television standard that it is named after, but it is not. Most real-world devices to date do not have the ability to actually reach this level of color in a display. The last of the color gamuts that may be referenced in LCD monitor color ability is the CIE 1976. The CIE color spaces were one of the first ways to define mathematically specific colors. The 1976 version of this is a specific color space that is used for charting the performance of other color spaces. It is generally fairly narrow and as a result is one that many companies like to use as it tends to have a higher percentage number than the others. So, to quantify the various color gamuts in terms of their relative range of color of narrowest to widest would be CIE 1976 < sRGB < AdobeRGB < NTSC. In general, displays are generally referred to compared to the NTSC color standard unless they state a different standard. These are just some of the most common. There are a number of specific color gamuts used in high definition recording now that most consumers will probably not need to know of. What is the Typical Color Gamut of a Display? Monitors are generally rated on their color by the percentage of colors out of a color gamut that are possible. Thus, a monitor that is rated at 100% NTSC can display all of the colors within the NTSC color gamut. A screen with a 50% NTSC color gamut can only represent half of those colors. The average computer monitor will display around 70 to 75% of the NTSC color gamut. This is fine for most people as they are used to the color they have seen over the years from television and video sources. (72% of NTSC is roughly equivalent to 100% of the sRGB color gamut.) The CRTs used in most old tube televisions and color monitors also produced roughly a 70% color gamut. Those that are looking to use a display for graphical work for either a hobby or profession will probably want something that has a greater range of color. This is where many of the newer high color or wide gamut displays have come into play. In order for a display to be listed as a wide gamut, it generally needs to produce at least a 92% NTSC color gamut. An LCD monitor's backlight is the key factor in determining its overall color gamut. The most common backlight used in an LCD is a CCFL (Cold-Cathode Fluorescent Light). These can generally produce around the 75% NTSC color gamut. Improved CCFL lights can be used to generate roughly 100% NTSC. Newer LED backlighting has been able to actually generate greater than 100% NTSC color gamuts. Having said that, most LCDs use a less expensive LED system that produces a lower level of potential color gamut that is closer to generic CCFL. 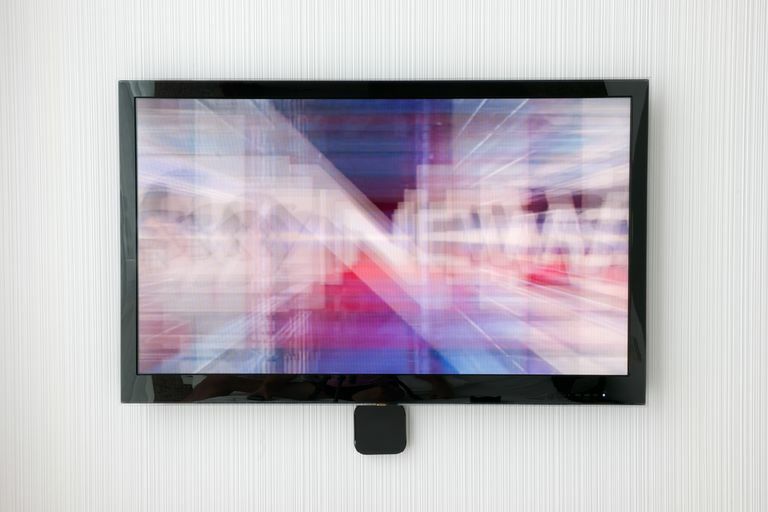 If an LCD monitor's color is an important feature for your computer, it is important to find out how much color it can actually represent. Manufacturer specs that list the number of colors are generally not useful and typically inaccurate when it comes to what they actually display versus what they theoretically can display. Because of this, consumers should really learn what the monitor's color gamut is. This will give consumers a much better representation of what the monitor is capable in terms of color. Be sure to know what the percentage is as well as the color gamut that percentage is based on. Finally, one has to remember that these numbers are from when the display is fully calibrated. Most displays when they are shipped go through very basic color calibration and will be slightly off in one or more areas. As a result, anyone needing a highly accurate level of color will want to calibrate your display with proper profiles and adjustments using a calibration tool. Can Static Images Get Burned Into a Computer LCD Display? What's "Out of Gamut" Mean in Graphics?